According to Tom Goetz, new online decision tools like LifeMath.net, a project of Harvard University’s Laboratory for Quantitative Medicine, take advantage of cheap computer processing power to crunch data into personalized medical recommendations, making it far more relevant than generic advice (and thus much more likely to result in lasting change, addressing what doctors call “the compliance problem”). These and other tools use technology for what it’s good at. They put the tools directly in our hands, and get us engaged in our health before we need the expertise of specialists. Of course, this is the stuff of participatory and Health 2.0 collaborative medicine. Note: Thomas Goetz is the author of “The Decision Tree: Taking Control of Your Health in the New Age of Personalized Medicine.” He is also the executive editor at Wired Magazine. And so, your thoughts and comments on this ME-P are appreciated. Check em’ out and tell us what you think. Feel free to review our top-left column, and top-right sidebar materials, links, URLs and related websites, too. Then, be sure to subscribe to the ME-P. It is fast, free and secure. 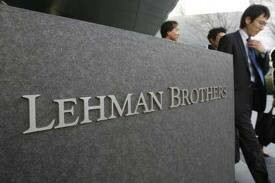 According to ProPublica on March 16, 2010 on 9:07 am EDT, a post-mortem report on Lehman Brothers revealed a shady accounting maneuver through which the bank hid its financial troubles for nearly a decade. In this repot, Marian Wang takes a closer look at the parties pleading ignorance and the auditors who admit they knew, but insist they did no wrong.